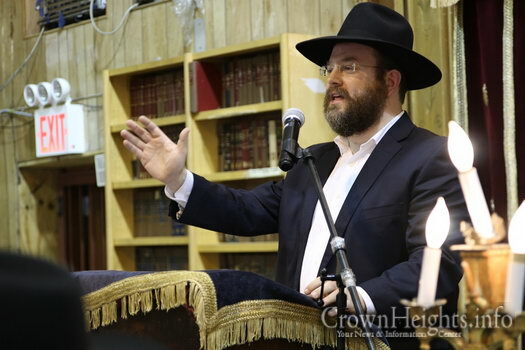 Rabbi Zushe Wilhelm, Menahel, opened the evening with a few words and was the master of ceremonies. 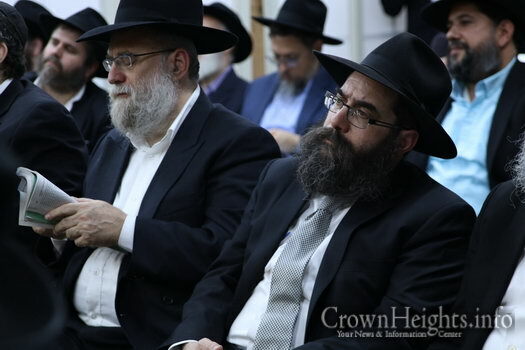 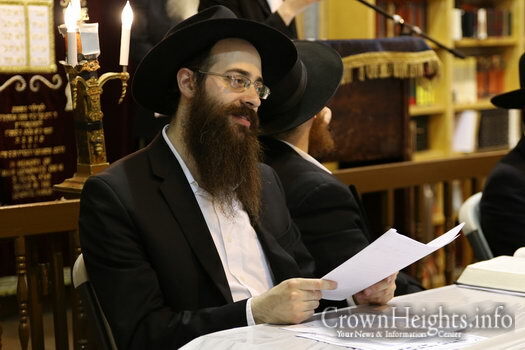 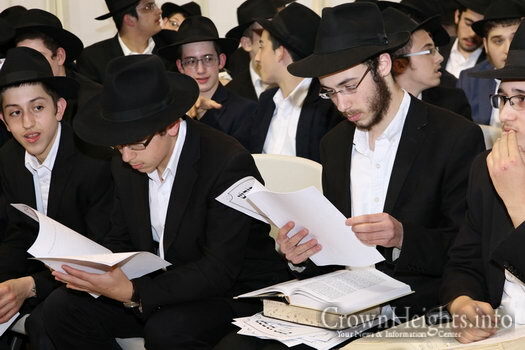 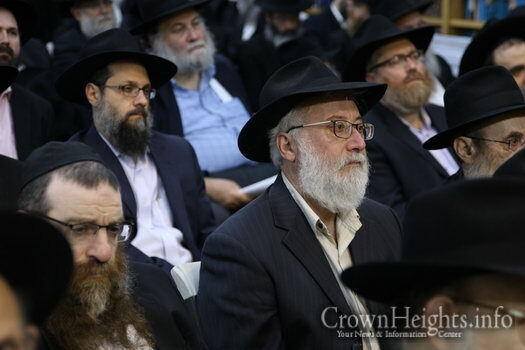 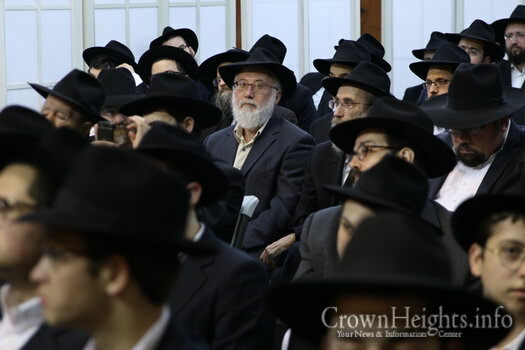 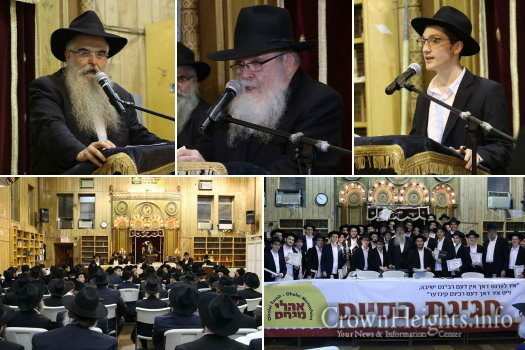 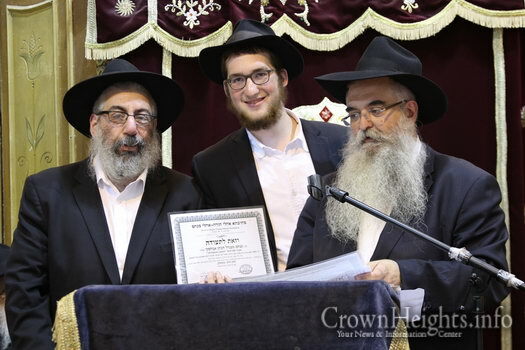 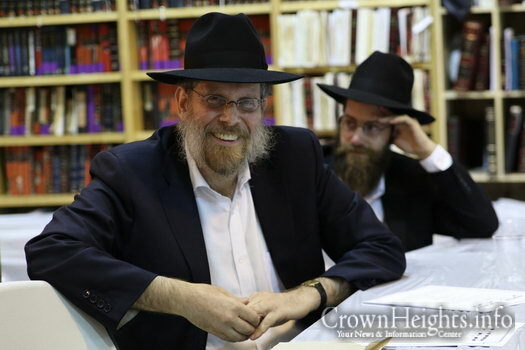 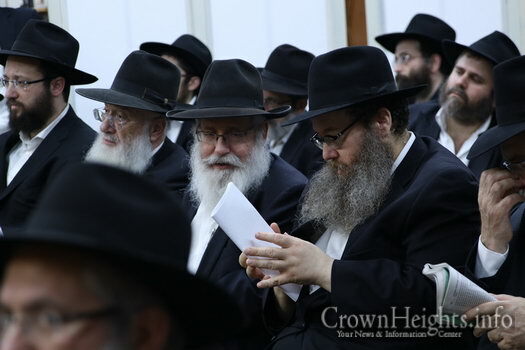 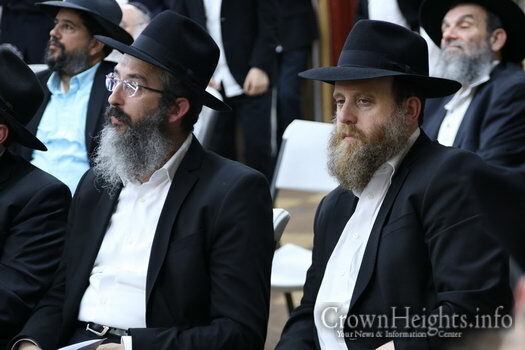 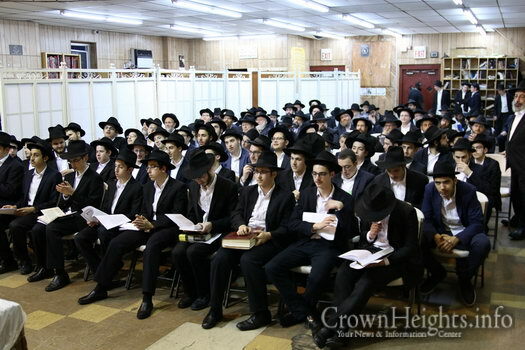 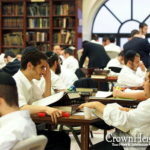 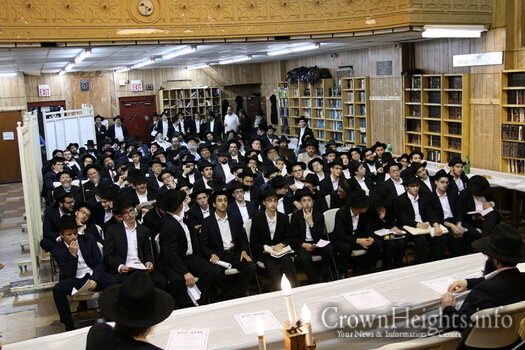 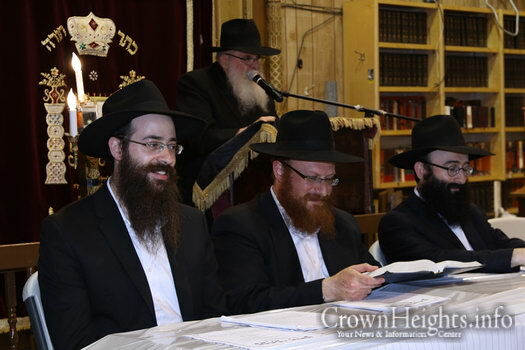 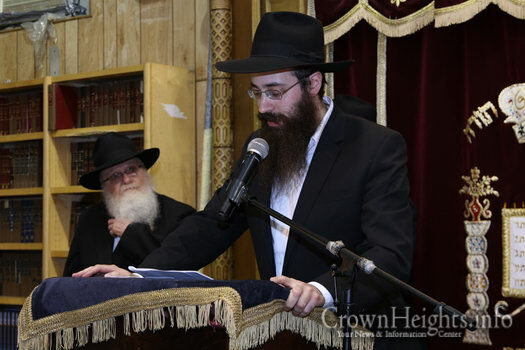 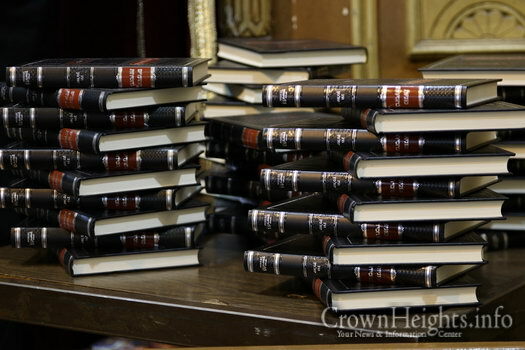 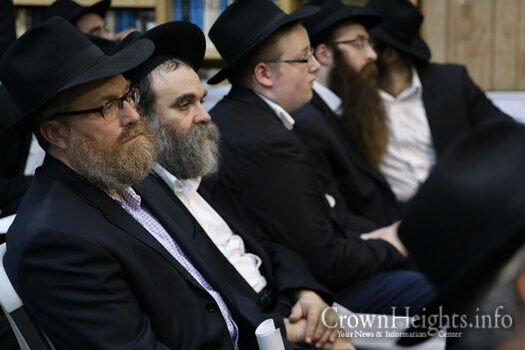 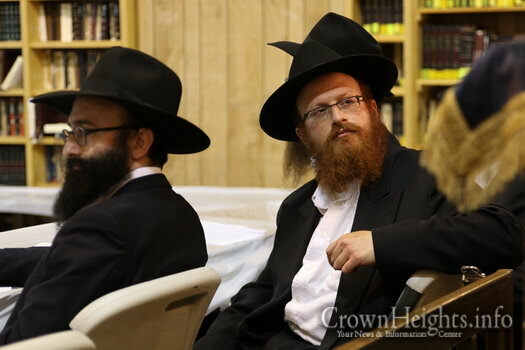 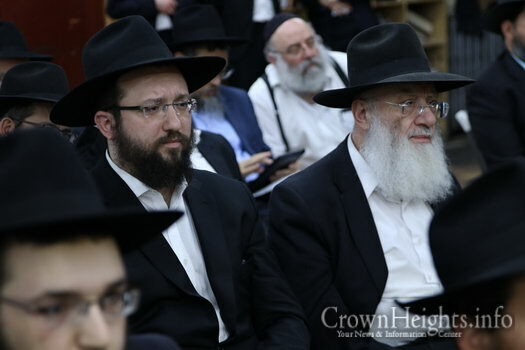 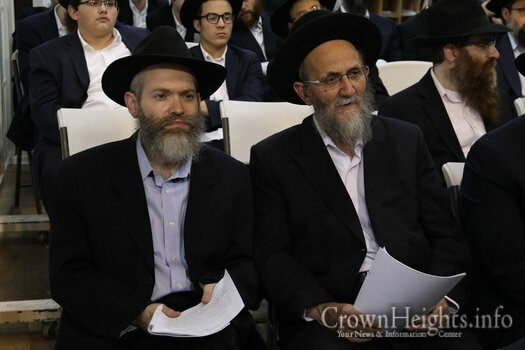 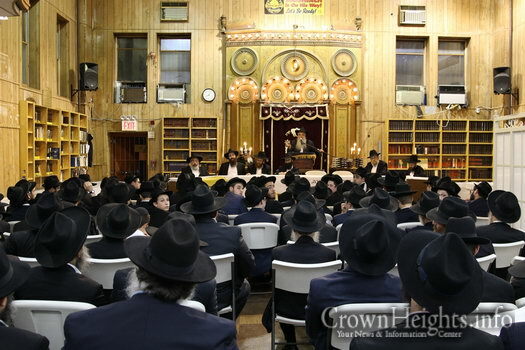 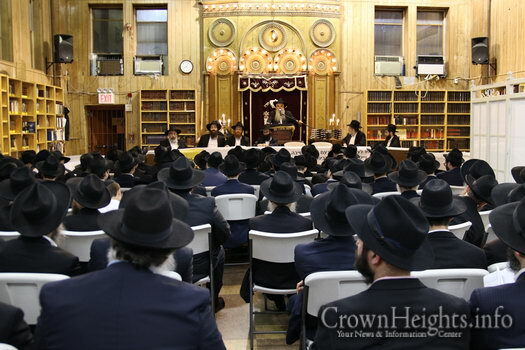 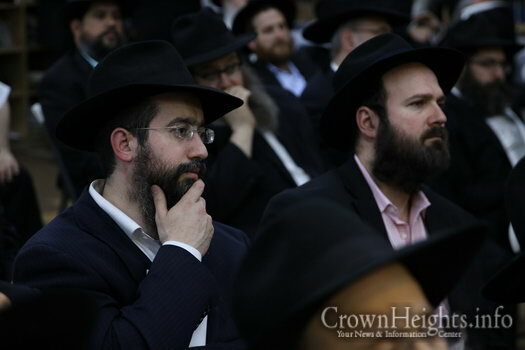 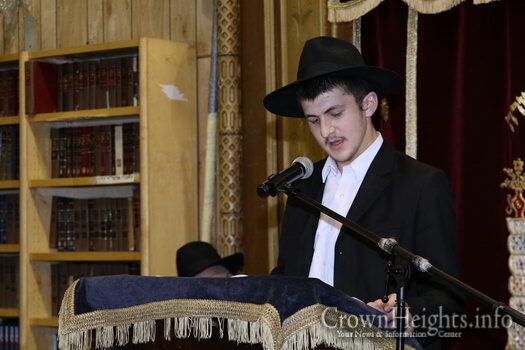 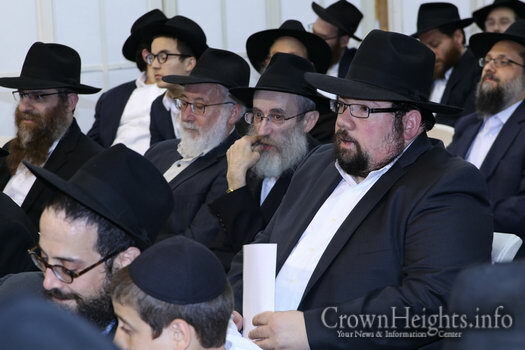 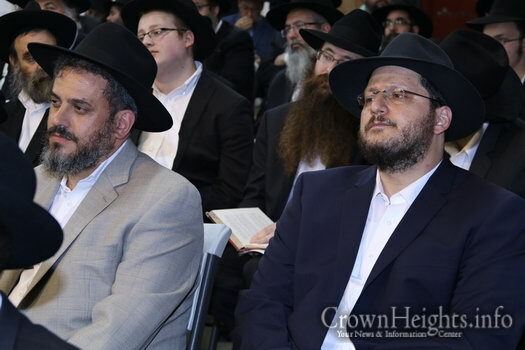 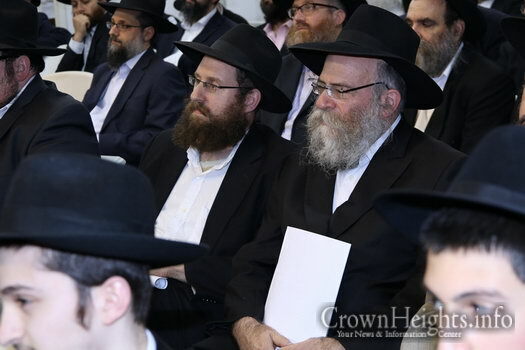 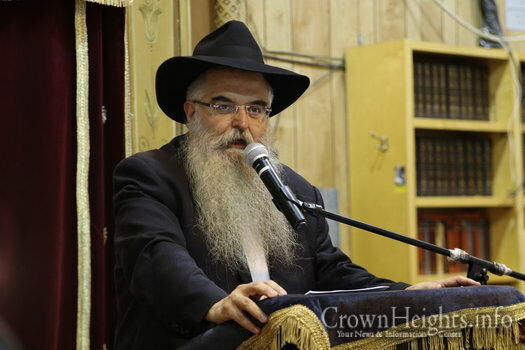 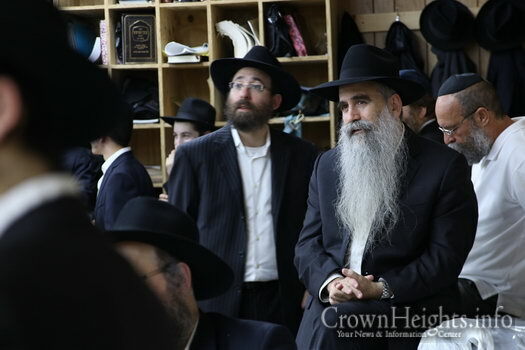 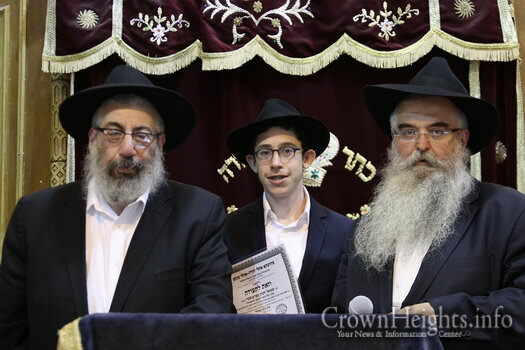 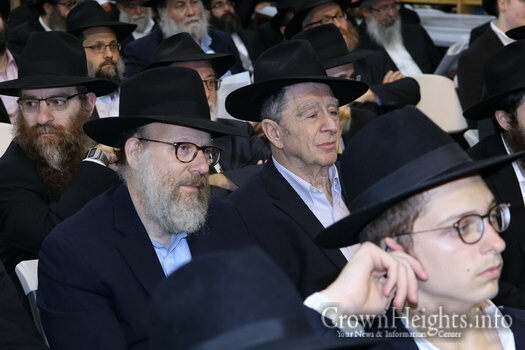 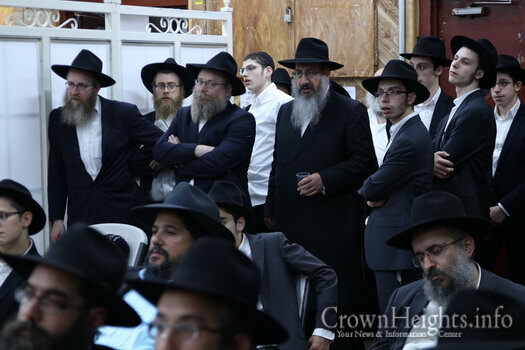 Rabbi Zalman Laufer, Mashgiach, read a Letter written by the Rebbe addressed to talmidim and Rabbi Joseph Rosenfeld, Executive Director, gave divrei brocha and spoke of the uniqueness of Oholei Torah as the Rebbe’s Yeshiva. 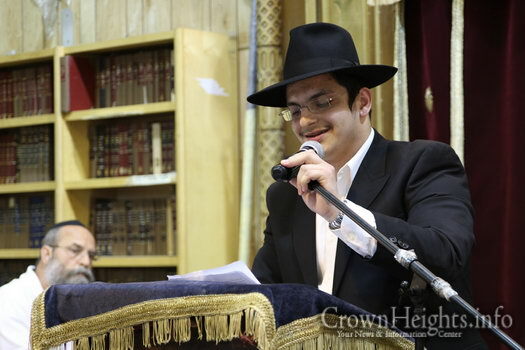 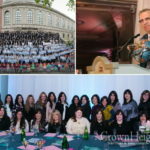 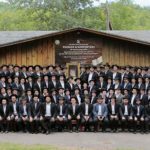 The Siyum on Likutei Amarim of Tanya was made by HaTomim Sholom Ber Meizlitch, of Mexico City. 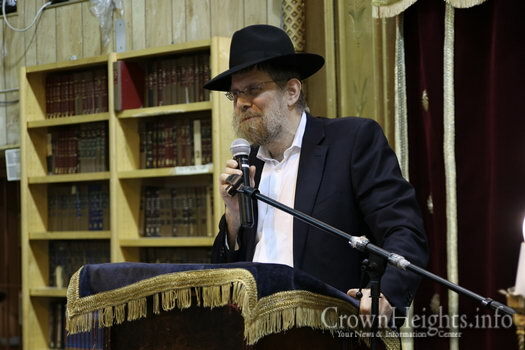 HaTomim Yechiel Goldberg thanked Rabbis Geisnky and Silman for their efforts in preparing the talmidim for this special day. 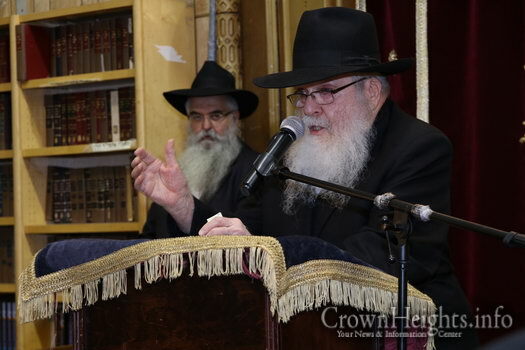 HaTomim Avraham Katz thanked Rabbis Schnuer and Lagziel. 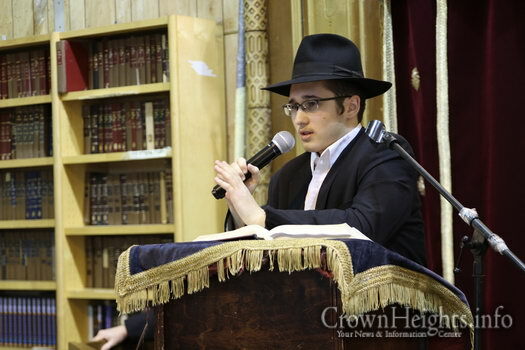 Hatomim Menachem M. Schapiro made the Siyum on Meschtas Bava Basra. 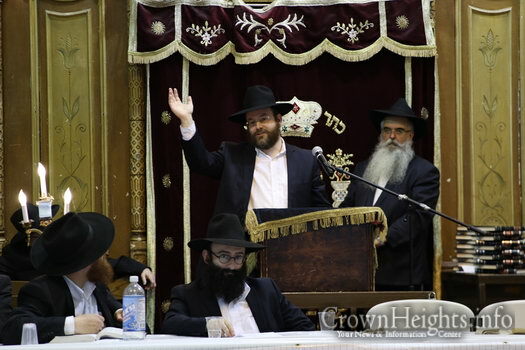 Guest speaker Rabbi Chaim Shochet spoke with great enthusiasm. 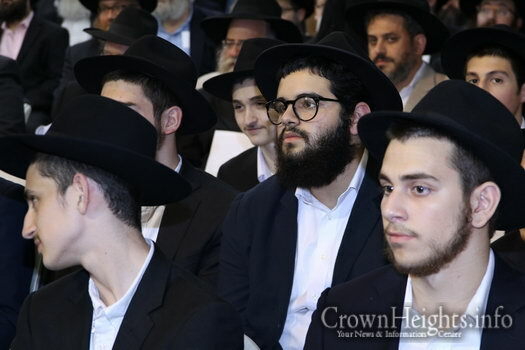 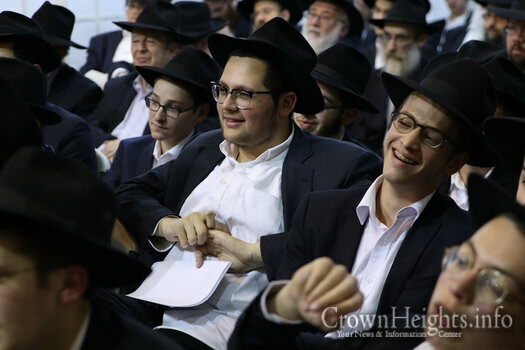 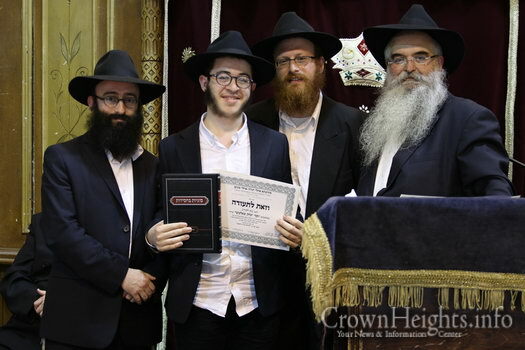 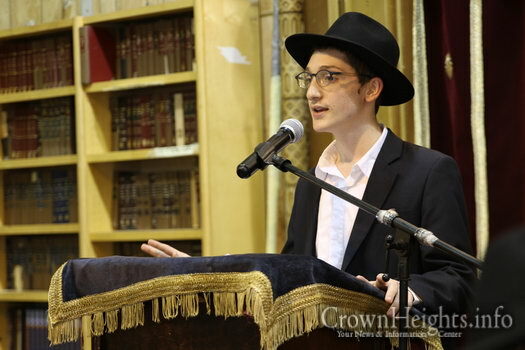 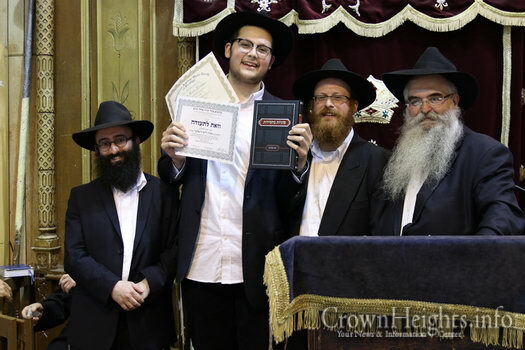 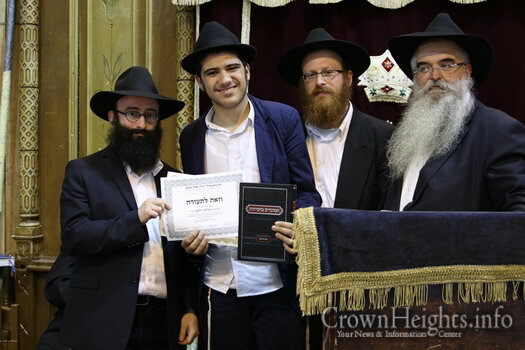 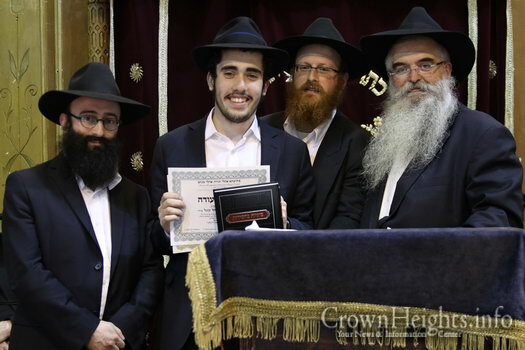 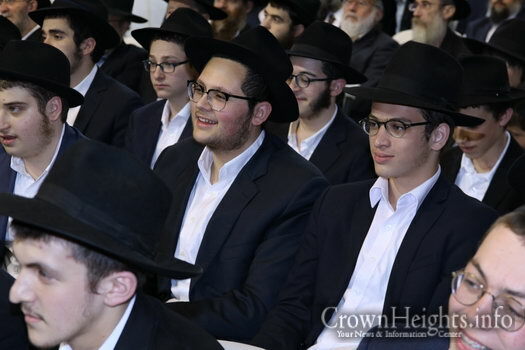 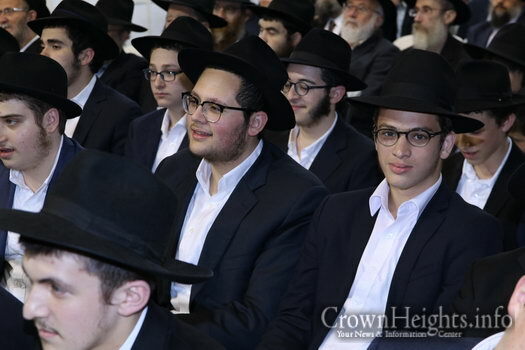 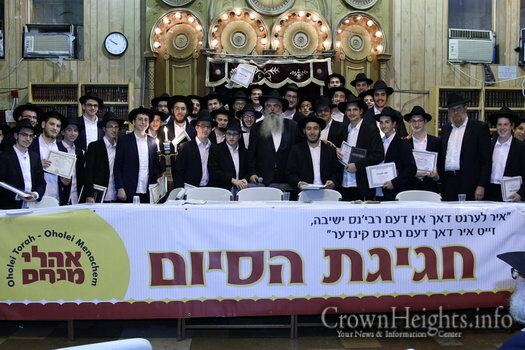 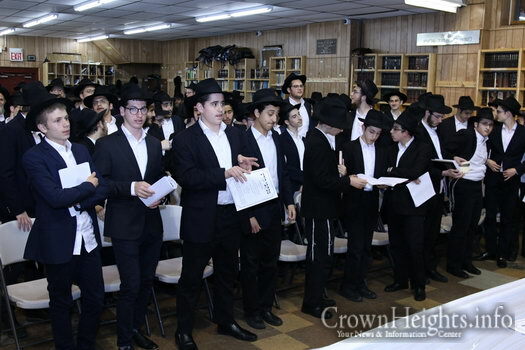 Afterwards, Rabbi Zushe Wilhelm closed the evening with a special Yasher Koach to the Chasanei HaTorah, the Talmidim who toiled hard and made a siyum, and thanked the dedicated staff for a most unique and successful year. 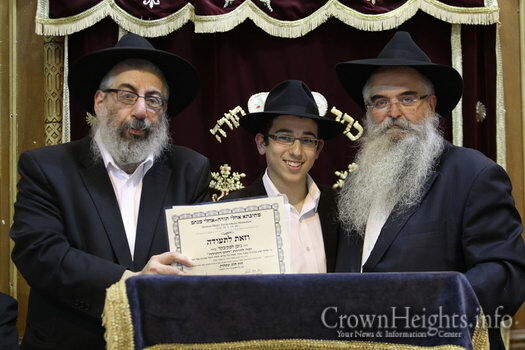 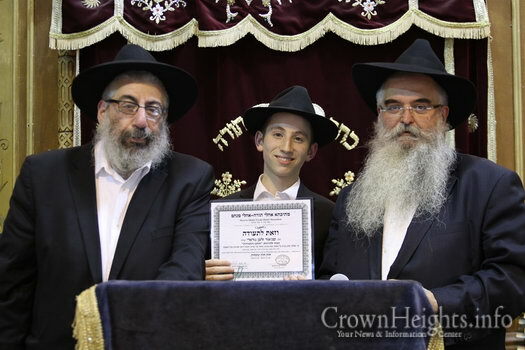 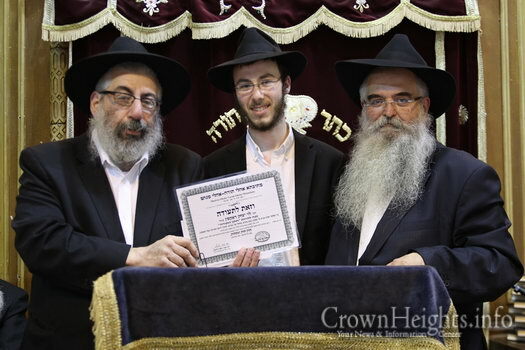 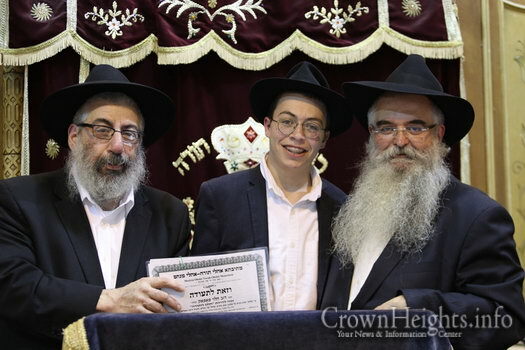 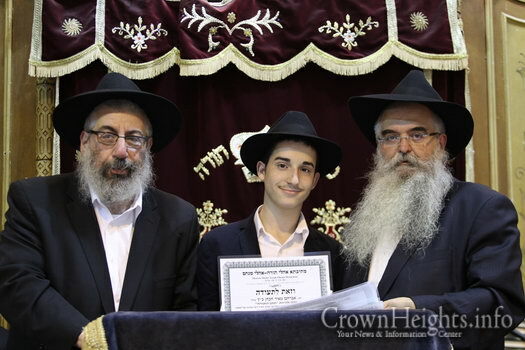 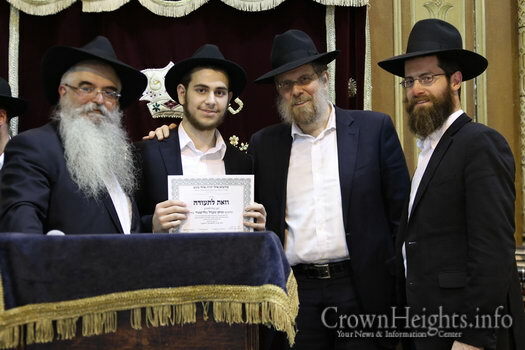 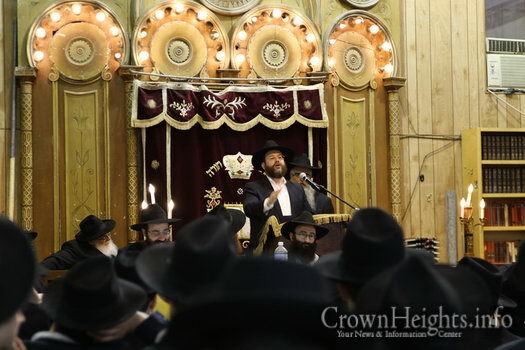 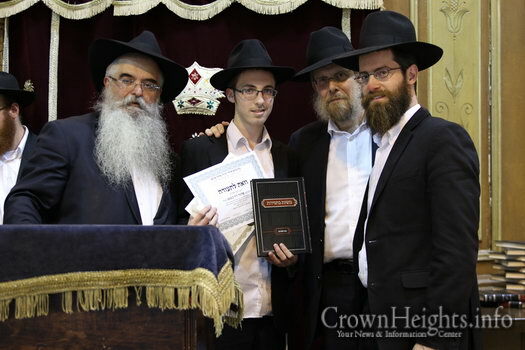 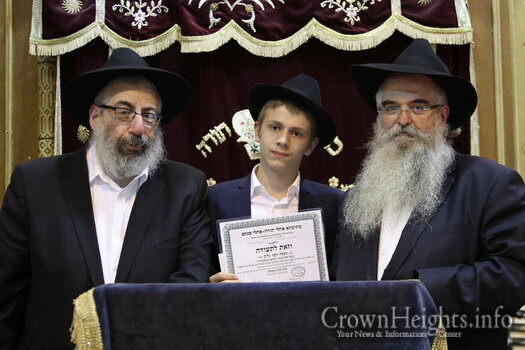 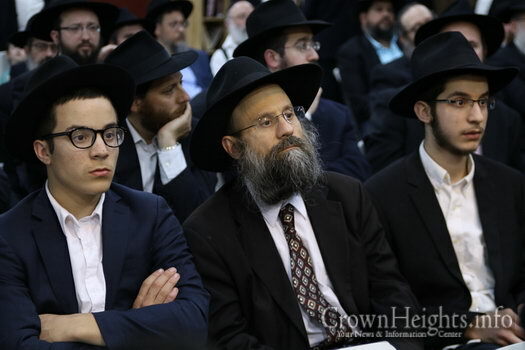 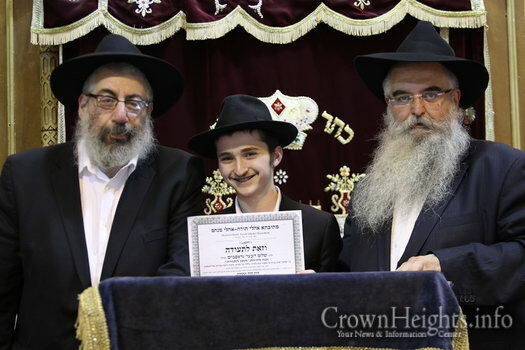 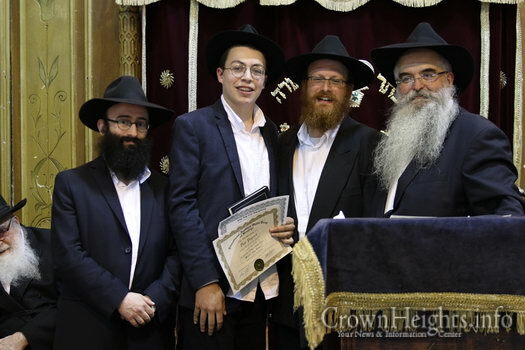 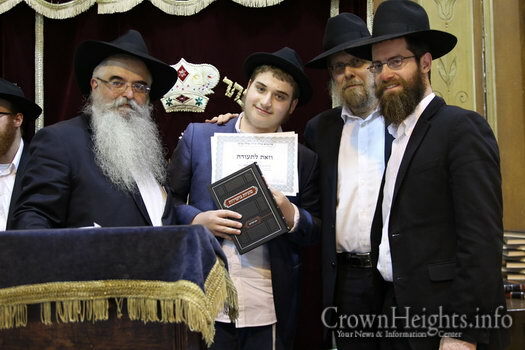 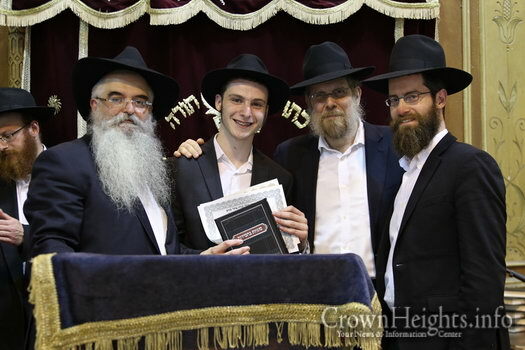 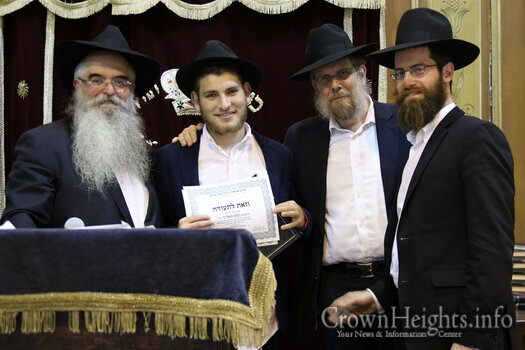 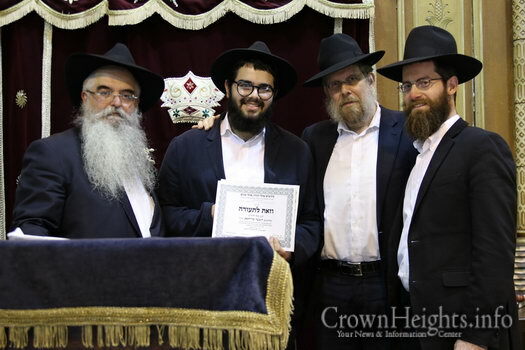 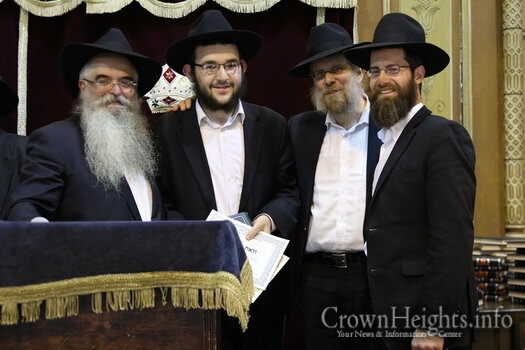 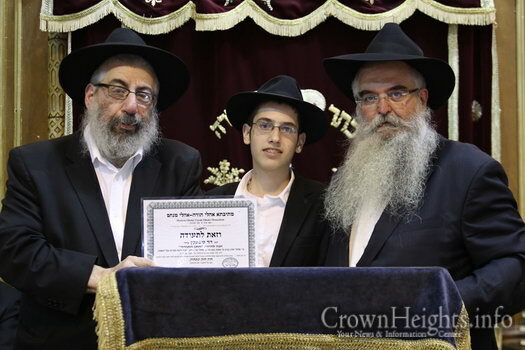 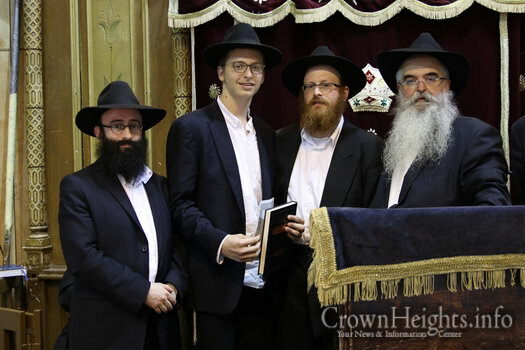 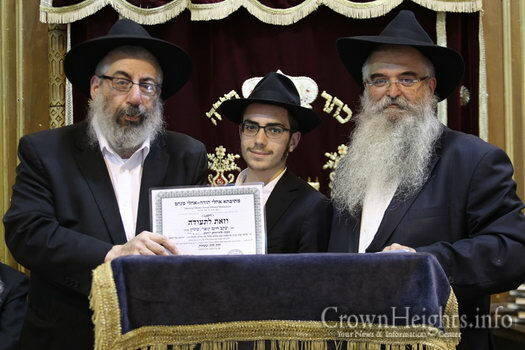 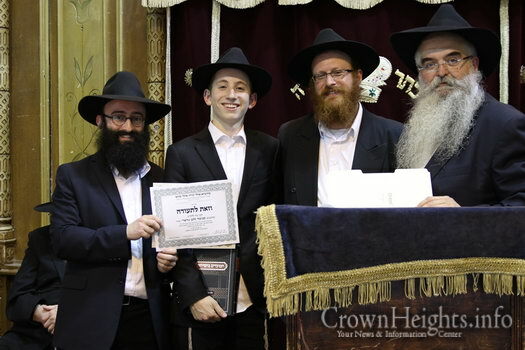 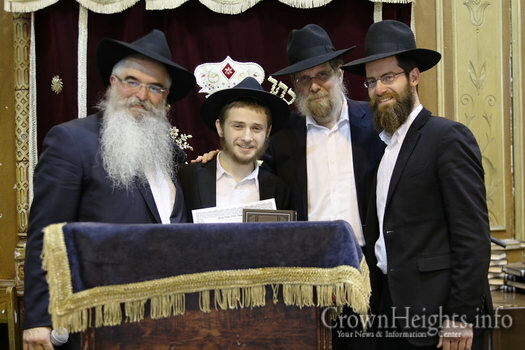 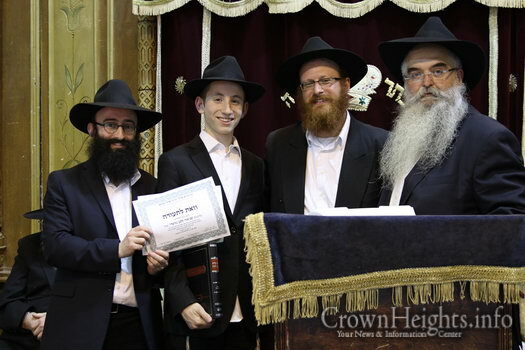 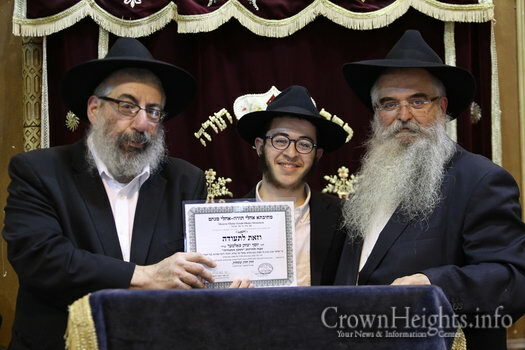 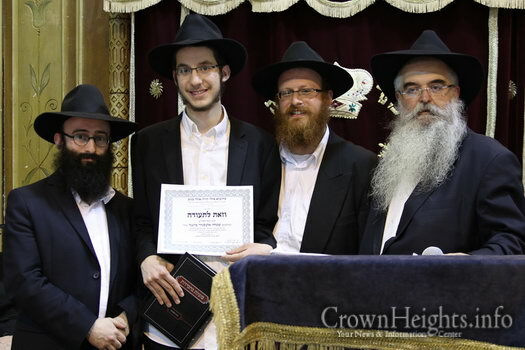 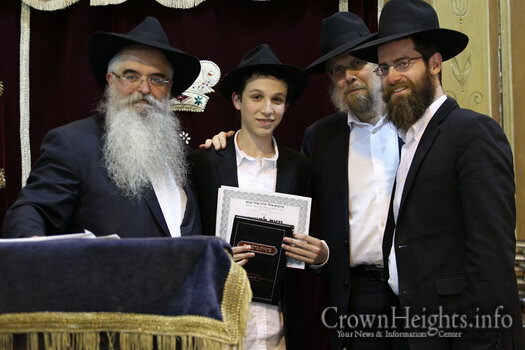 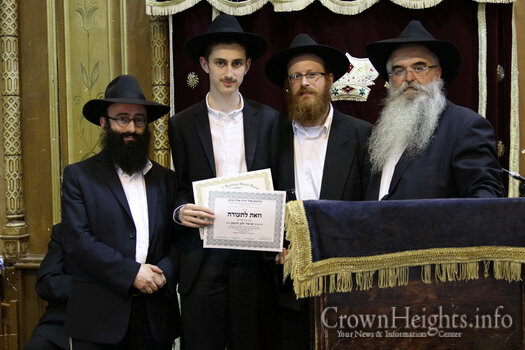 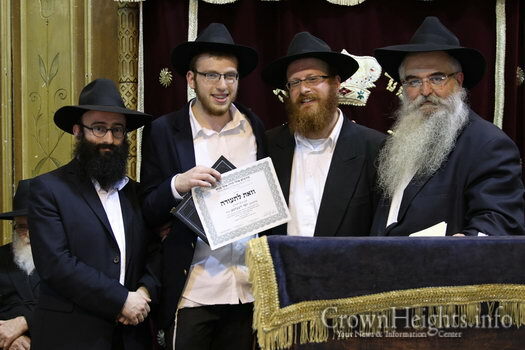 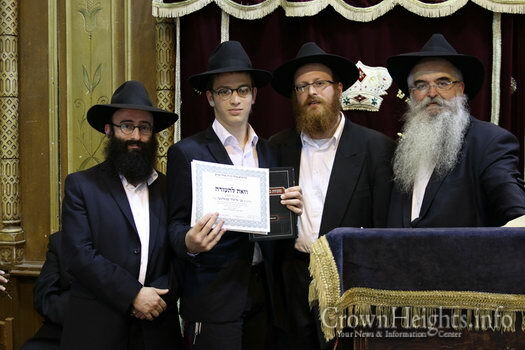 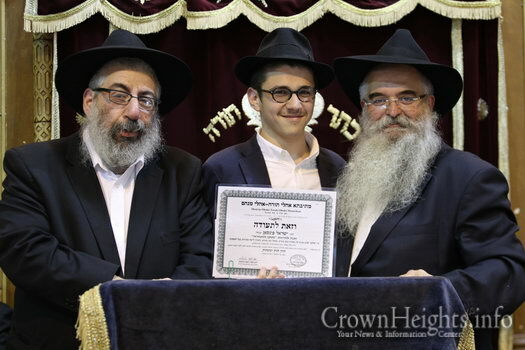 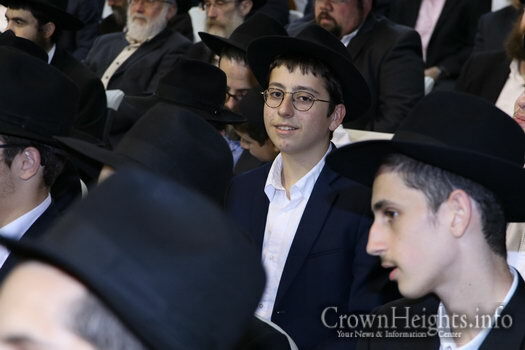 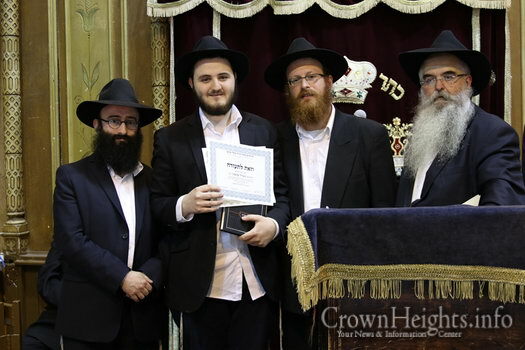 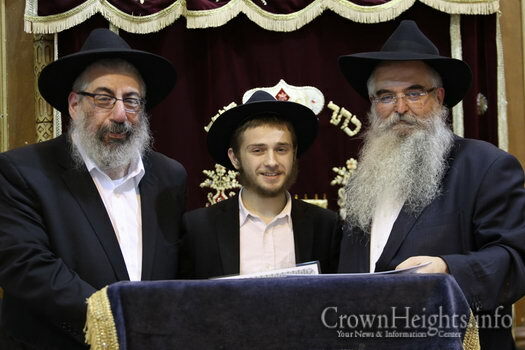 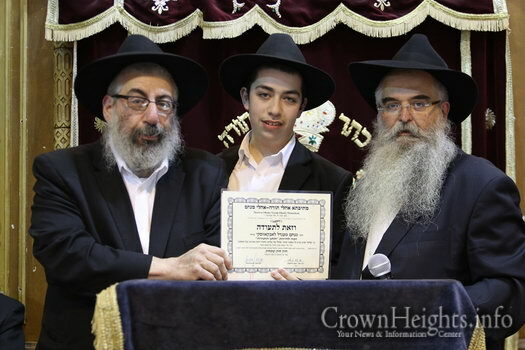 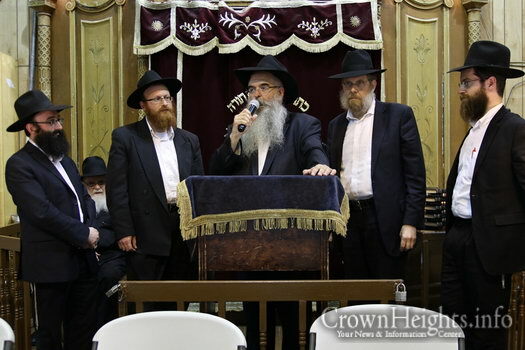 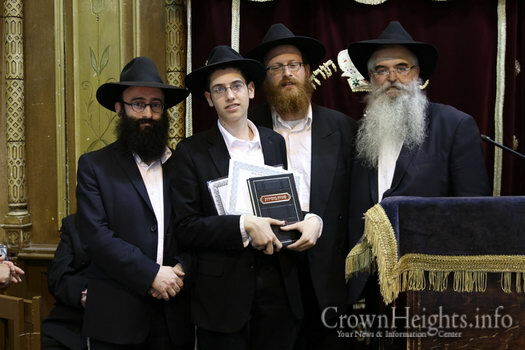 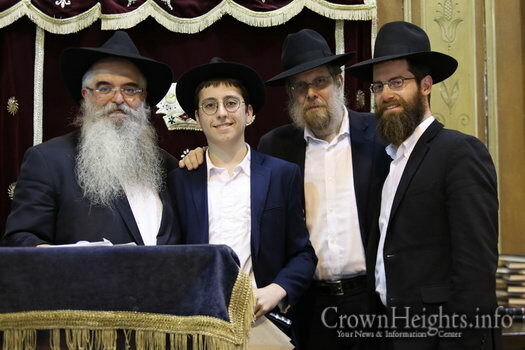 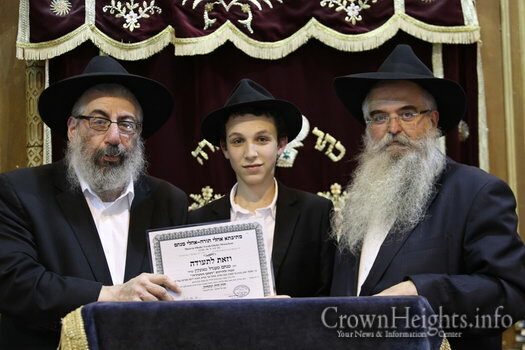 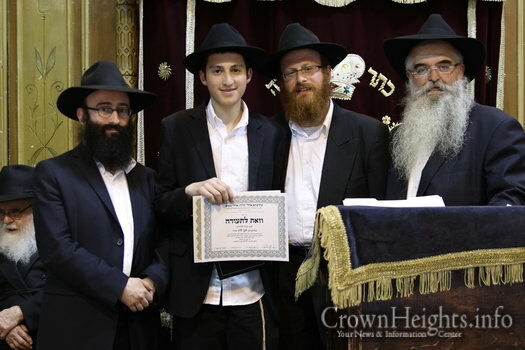 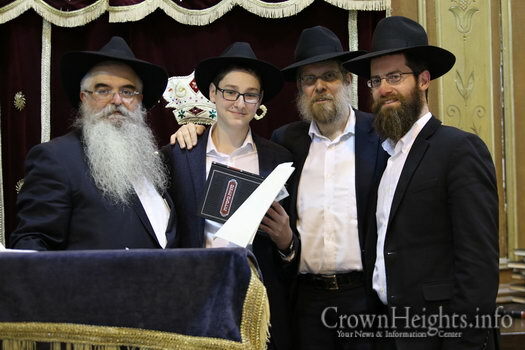 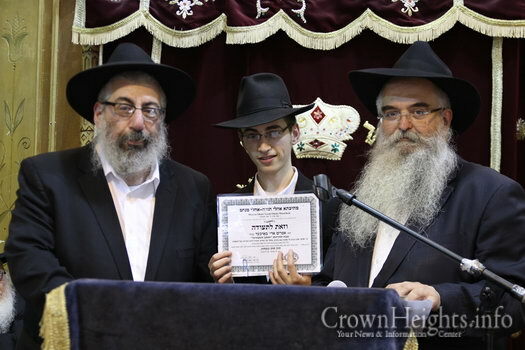 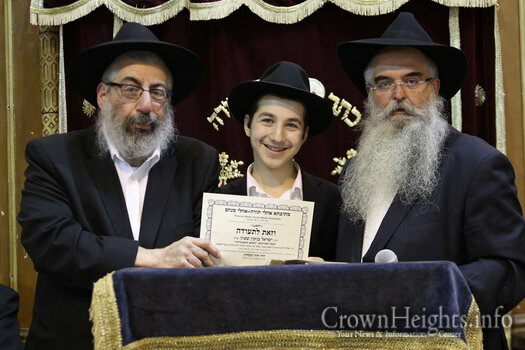 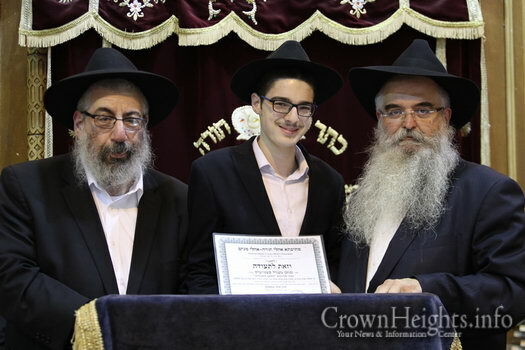 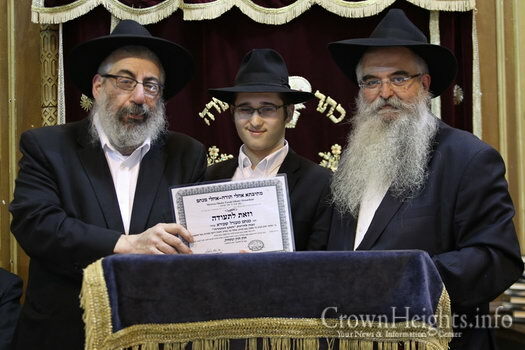 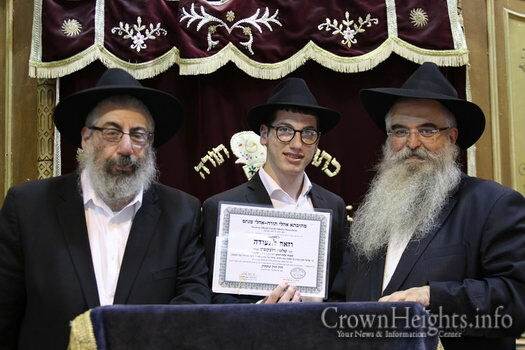 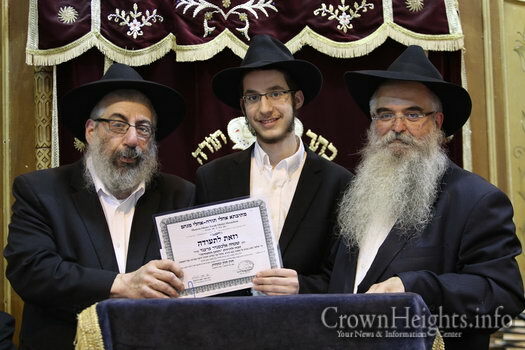 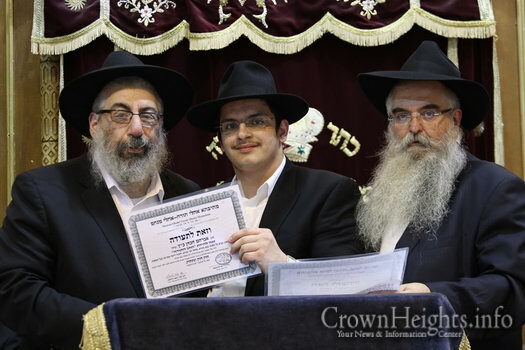 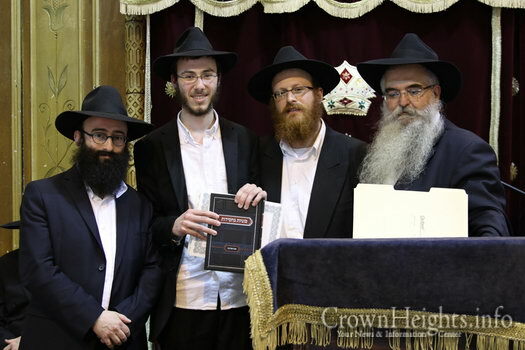 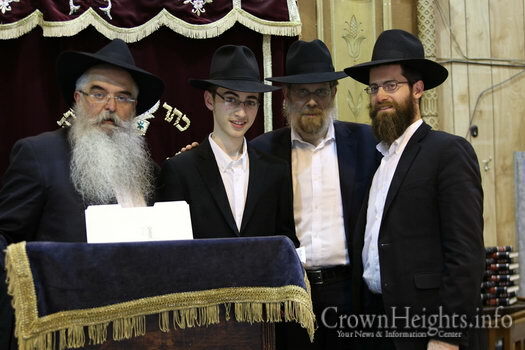 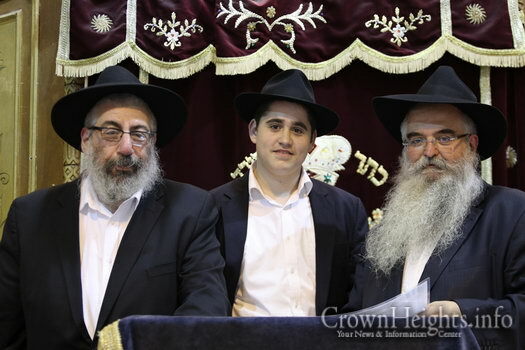 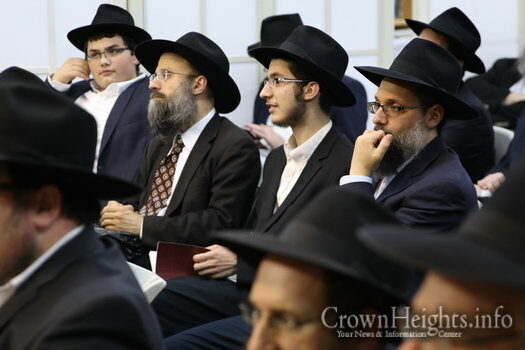 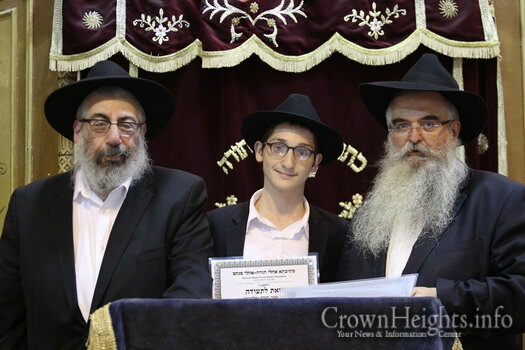 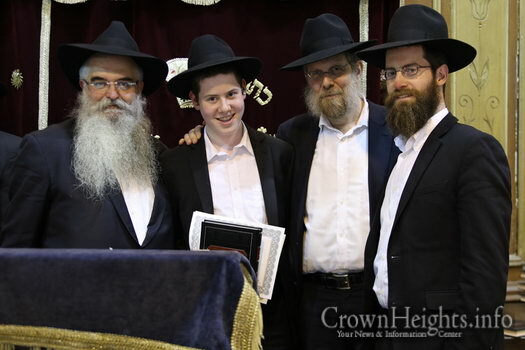 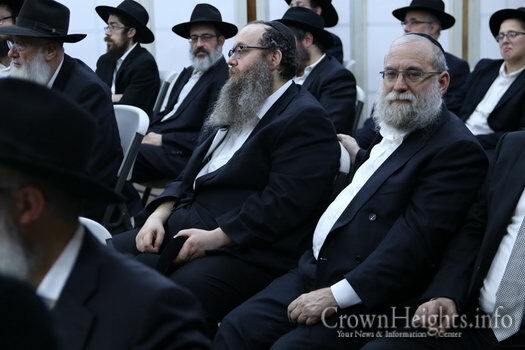 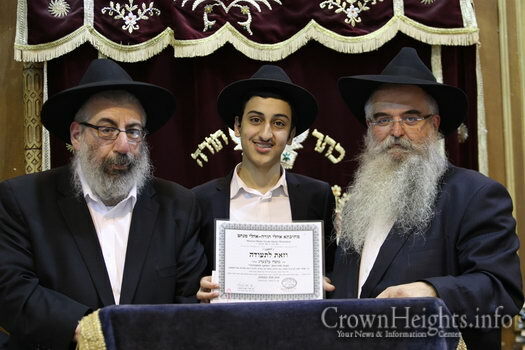 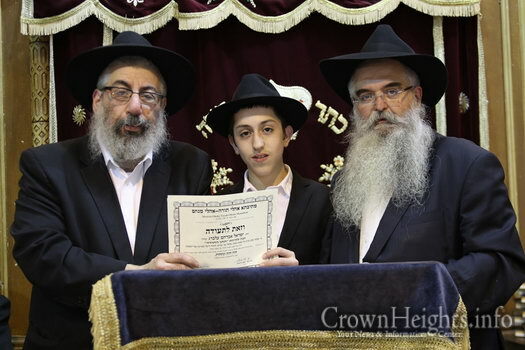 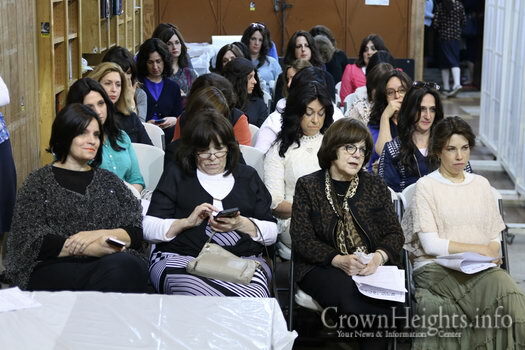 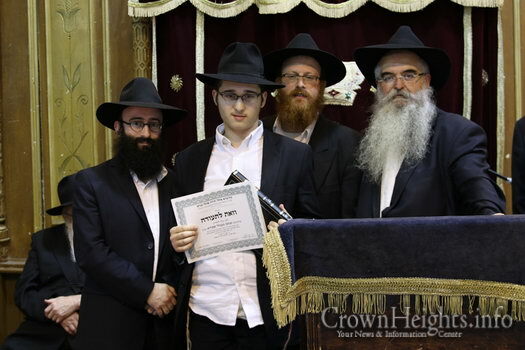 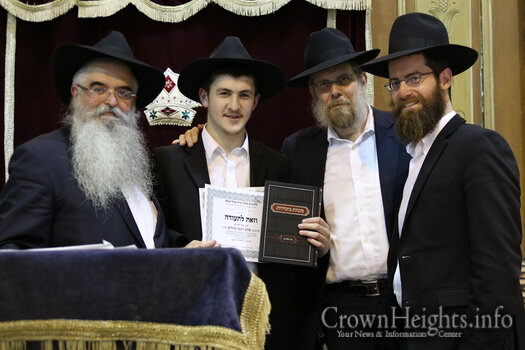 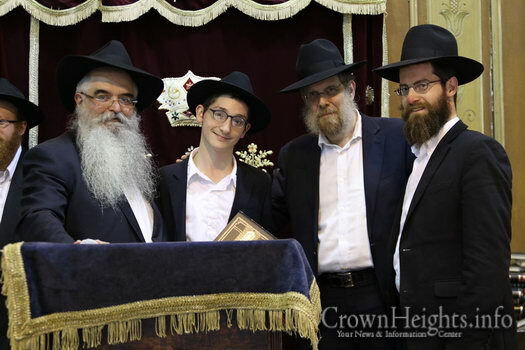 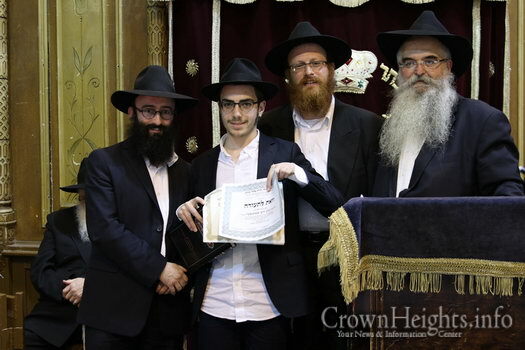 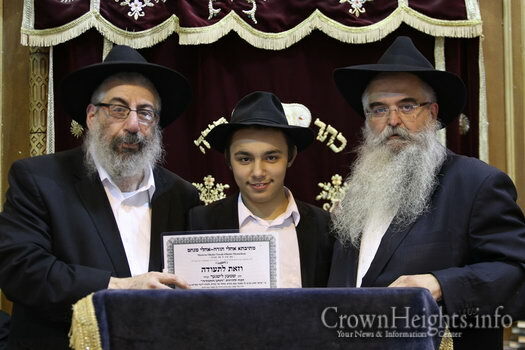 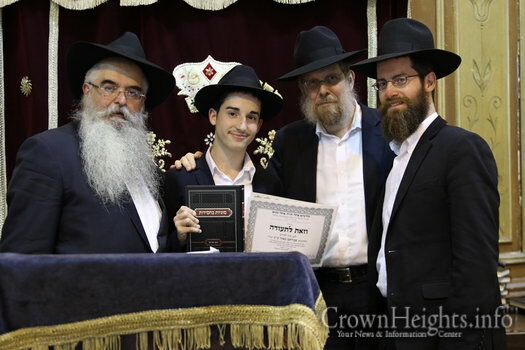 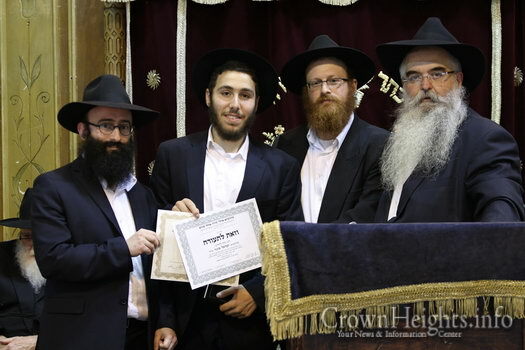 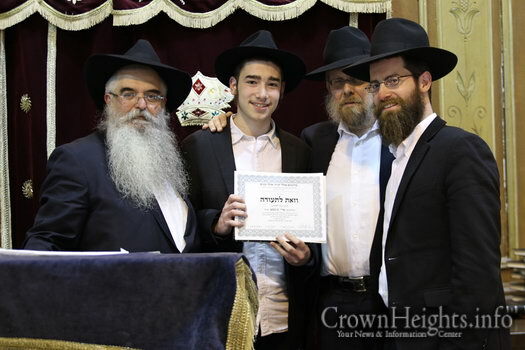 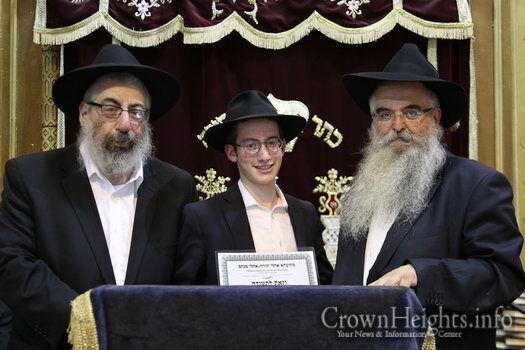 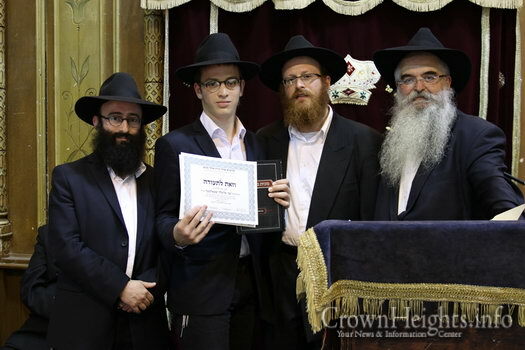 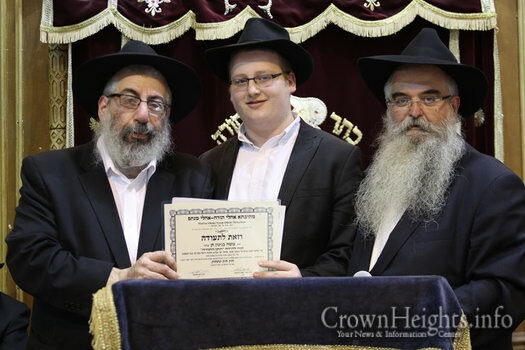 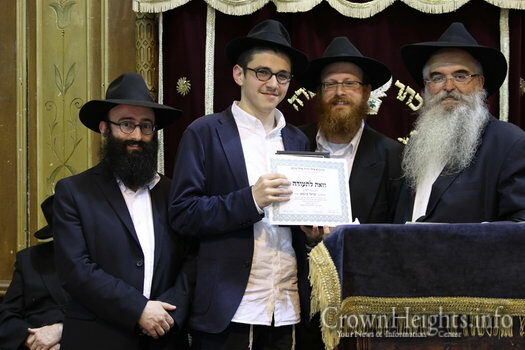 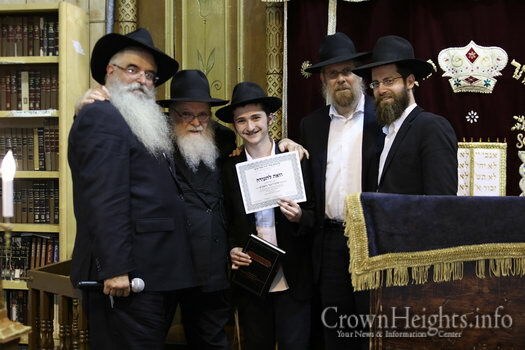 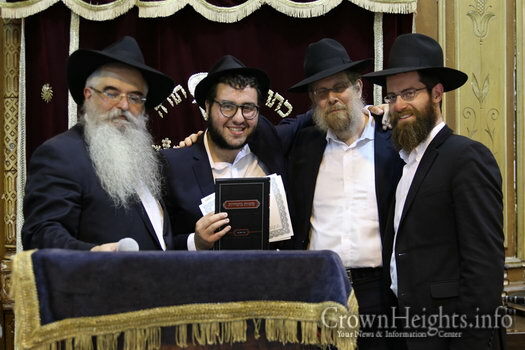 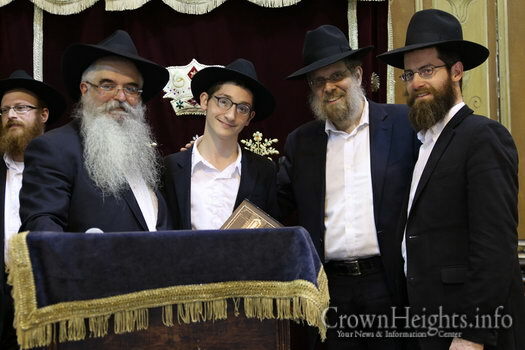 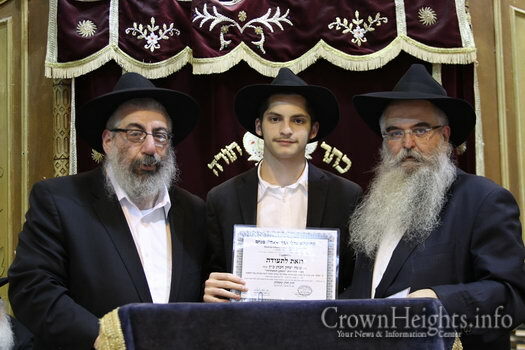 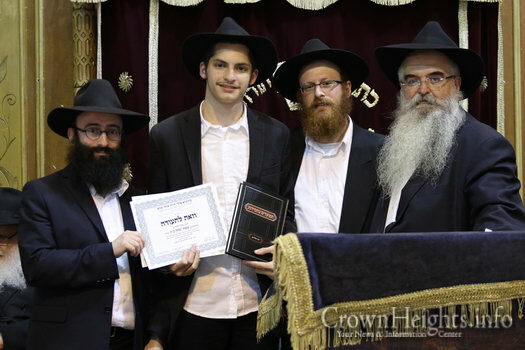 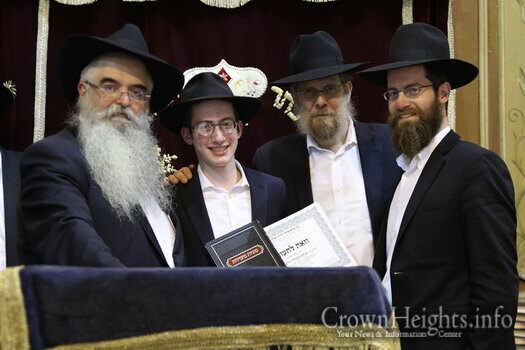 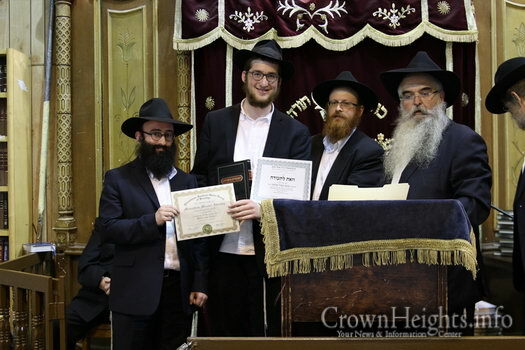 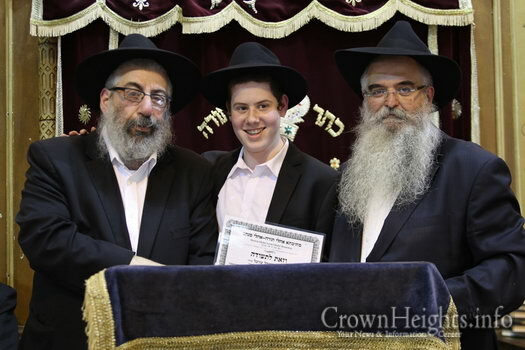 Rabbi Wilhelm concluded with a special brocha to the parents for continued chassideshe nachas, and thanked them for entrusting Oholei Torah with their precious gems. 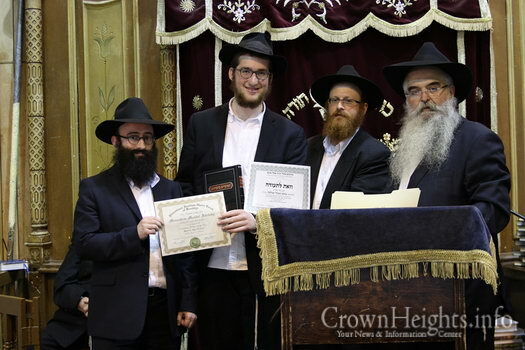 A ceremony of giving out diplomas and recognition plaques took place after the event.